Over the last 25 years the National Retail Federation has certainly excelled at developing and building one of the strongest and deepest support organizations for the retail Loss Prevention industry in the U.S. and North America. Their unparalleled growth and unwavering commitment to this industry was never more apparent then when they staffed a second support position at a Director level to assist their then Vice President of Loss Prevention, Joe LaRocca in 2007. As an industry first, two dynamic and dedicated executives focused on supporting and facilitating industry growth, representation, and on nurturing and delivering the largest Loss Prevention convention in the western hemisphere. Since that time we've all benefited from their efforts both individually and as a profession. And now as is the case with all things, we face change, as Angelica Rodriguez, the NRF's Dir. of Loss Prevention has announced her departure and she'll be joining the National Law Enforcement Officers Memorial Fund (NLEOMF). NLEOMF is dedicated to honoring and remembering the service and sacrifice of law enforcement officers in the U.S. The Memorial Fund built the nation’s monument to law enforcement officers killed in the line of duty, hosts National Police Week and is in the middle of a campaign to build the first-ever National Law Enforcement Museum, which is scheduled to open in 2015. Considering the evolution of her career and seeing her selection for her next position is testimony enough to her sense of dedication and to her deep desire to make a difference in our extended community. Obviously the last 7.5 years of involvement in the Loss Prevention community has made an impact on her and to see her make this choice makes many of us very proud of her and to know that she'll be continuing to help support and develop such a worthy cause is one that we should all applaud. During her tenure many of us have had the absolute pleasure and honor to work with her and we've seen first hand the value she's added to this industry, to the NRF, and to the individual executives she's worked with. Dedicated to learning, willing to face adversity, and always driven by her heart, Angelica made a difference and helped our industry grow. And while we'll miss her in our industry group, we can all take great pride in the fact that we too helped her grow and go on to help those that truly paid the price at keeping our nation safe. We wish you the best Angelica, and we're confident you'll continue to make a difference with a cause that's close to all of our hearts. Angelica has worked for the members of the NRF for more than seven years providing valuable assistance in connecting retailers who learn from each other and share information through meetings and business relationships. She has helped link government agencies and law enforcement with retailers providing information and resources during emergencies such hurricanes and other disasters. Angelica has been a committed individual on our team advancing the educational content for our members and the broader industry, facilitating surveys and white papers and sharing this information through loss prevention networks. The NRF will continue the mission of providing education, facilitating networking and advocating for retailers but we will miss Angelica's personal touch. We at the NRF wish her the very best in her new position at the National Law Enforcement Officer's Memorial Fund. On behalf of the entire LP Advisory Council, I want to thank Angelica for her tireless efforts at bringing our Council initiatives to life. In her 7 years with the NRF, she was been a staunch supporter and advocate for our profession and as a "non LP person" she embraced and immersed herself in learning our Industry. Her efforts have made a difference and she will be missed. We wish her great success in her new endeavor! 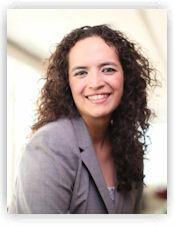 Angelica has been instrumental to the overall success of the NRF's Loss Prevention program over the past seven years. She is extremely talented and we are fortunate to have her continued partnership at the NLEOMF. Angelica has been the heart and soul of the NRF Loss Prevention Team and a fantastic support to the LP Advisory Council. She was instrumental in supporting me on the council and during my time as a Vice Chair and then Chair of the Council. I wish Angelica the best in her next step on her career journey!